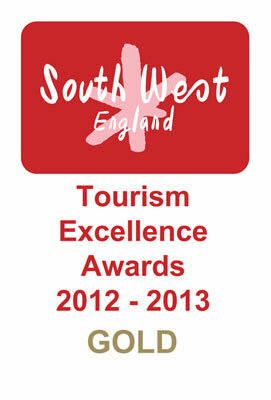 Mill on the Brue represented by Tricia RP plus Paul Greenwood, our new Centre Manager, travelled down to the Eden Project on Friday 8th February to attend the awards ceremony for the South West Tourism excellence awards. We knew we had won either bronze, silver or gold for our particular category but only on the night were we to learn which award. It was a black tie event, greeted with fire twirlers and a drinks reception in the jungle zone which kept us warm on such a cold night. There were over 255 guests , dominated by Cornwall and Devon, and we were at the Somerset table. 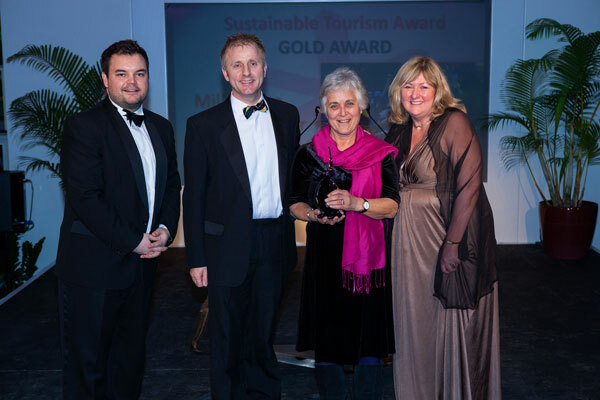 After a delicious dinner, the various categories were announced – ours was the sustainable tourism award; the competition had been stiff but we were delighted to hear Mill on the Brue – the gold! We now go onto the nationals in Manchester on May 20th.